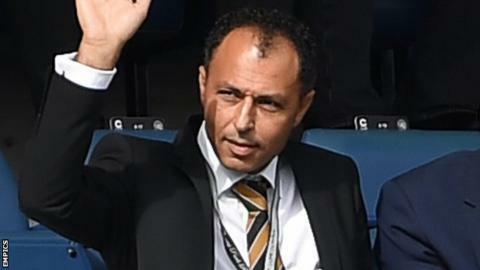 Hull City vice-chairman Ehab Allam says he will do "whatever the fans want" in the club's rebranding, but that they will have to meet two conditions. In 2014, the FA rejected owner Assem Allam's proposal to change the club's name from Hull City AFC to Hull Tigers. The Allams have been subject to a series of protests by City fans since taking charge in 2010. On Wednesday, the club will hold another meeting with fans with the hope of improving their relationship. "In the first two meetings I think we made some really positive steps in that we agreed to redesign the crest and involve the fans in that process so it'll be fan-led on the redesign," Ehab told BBC Radio Humberside. "I've agreed to bring back concessions - we haven't got to the bottom of how that would look, but I've got a few conditions. "As long as we can find a way to reduce the level of abuse in the tickets then I'm open to introducing the concessions again." The vice-chairman said he is willing to use fan ideas for the club's rebrand, so long as the new design does not include "AFC", and so long as it is easy to use. "I know that [AFC] is important to some fans but that's never been in the club's playing name. The club was registered 1904 with the FA as Hull City, full stop," he said. "I will do whatever the fans want so long as it is prescriptive enough for my staff to understand what they can use and when. "So for example you've just asked me is it ok to use Hull City or the Tigers? Well yeah, but then I've got the Tigers Hall of Fame and the people complained about that, so it's not prescriptive to use that or the other." Listen to BBC Radio Humberside's full interview with Ehab Allam in a two-hour Sportstalk special on BBC Radio Humberside from 18:00 GMT on Friday, 9 February.